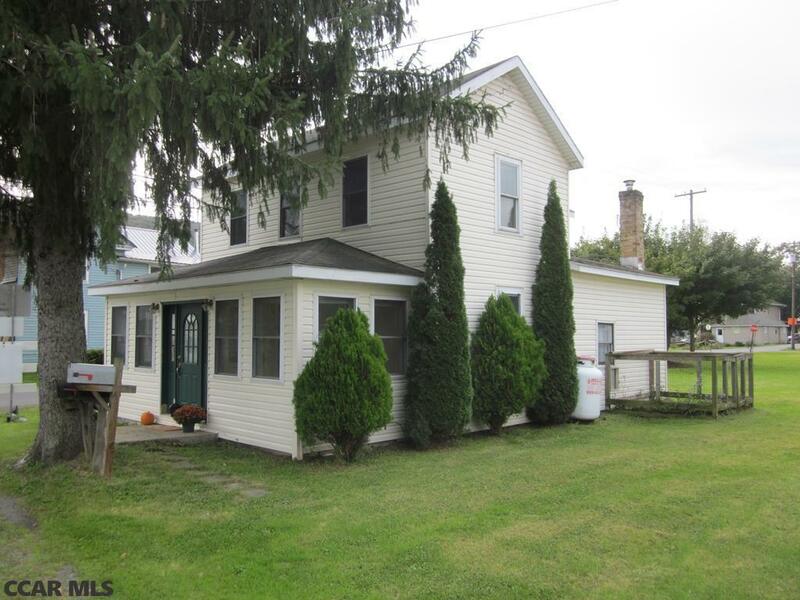 Adorable house on corner lot with large flat yard in the boro of Port Matilda. Beautiful kitchen with island and stainless-steel dishwasher and microwave. Nice living room and separate dining area with laminate flooring. Heated sunroom. Bonus room on first floor that could be used for an office or bedroom with a half bath. Newer furnace with 2 zones. Newer windows. Spacious full bath. Laundry on 2nd floor. New solid wood doors in bedrooms that can be stained to your preference. Don't miss the opportunity to own this lovely affordable home, nicely priced at $135, 000!